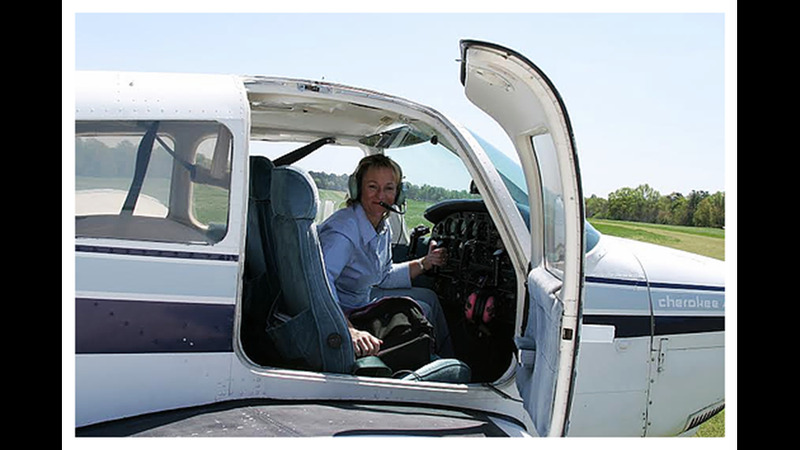 Cathy Lewan is extremely comfortable flying her single-engine plane. But in a 50-minute emergency call from last year, the nerves are easy to hear in her voice. 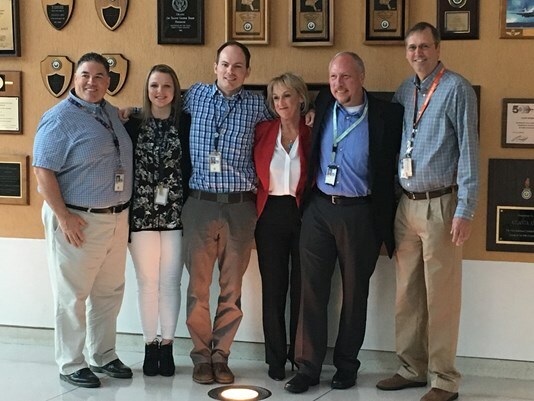 The radio traffic was just released from the February 14th, 2016 incident when Lewan, who was out for an aerial photography flight, found herself near Hartsfield-Jackson Atlanta International Airport, flying solo with a broken throttle. From his FAA air traffic control station, Mason Braddock handled Lewan’s mid-flight call, guiding her through an emergency landing with a team of air traffic controllers and aviation officials. In order to land safely, Lewan would need to dodge incoming and outgoing commercial airliners and land at the world’s busiest airport. “(I couldn’t) slow the plane down, and being in Hartsfield’s airspace, I knew I was a threat to them as well,” she recounted. Braddock is not a pilot, but he kept talking with Lewan as his team continued brainstorming. “You’re wracking your brain – what can I do, what can we come up with to help her out,” he said. Lewan began praying: “Can I ask you one more favor,” she radios to Braddock. “Would you call my husband for me?" Clay Sutton was directing the traffic control center during the call. 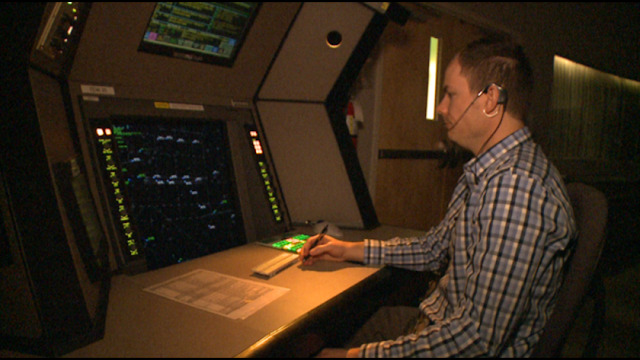 He moved air traffic controller Nicole Suruins to assist Braddock. Meanwhile, Patrick Burrows began coordinating a sea of other air traffic, and Keith Tyus, a certified flight instructor, offered directions for how Lewan should land. “Affirmative, affirmative,” Lewan radios back. As Lewan prepared for the landing, Braddock continued to calmly talk her through it. After a single-practice run, Lewan felt confident and made a safe landing, which she now credits to everyone but herself. The air traffic controllers and aviation officials that were involved in the landing are being honored at an industry event in Las Vegas March 22. 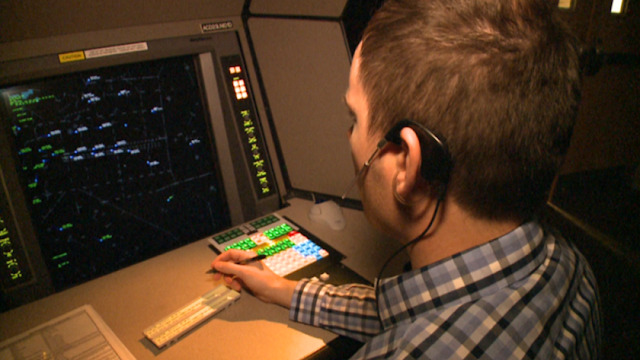 The five controllers involved will receive the Archie League Medal of Safety, which is the highest honor from the National Air Traffic Controllers Association. The pilot of the wheel/ski-equipped airplane reported that, after landing on skis and during the taxi on hard-packed snow, a wind gust pushed the airplane, and the left wing impacted a parked, unoccupied airplane. The airplane sustained substantial damage to the left wing and left wing lift strut. A review of recorded data from the automated weather observation station located on the airport revealed that, about 13 minutes after the accident, the wind was from 360° at 12 knots, gusting to 20 knots. The pilot’s failure to maintain directional control during the taxi on skis on hard-packed snow in gusting wind conditions. Aircraft on landing, struck runway light. Aircraft on taxi, struck the propeller. Flight ASP820, aircraft on takeoff struck wingtip. Damage unknown. Flight EDV400, aircraft on landing, number 2 engine ingested foreign object. Damage unknown. Aircraft on landing, went off the runway. The commercial pilot reported that, while taxiing the airplane to the runway for departure, the airplane suddenly veered right. The pilot attempted to correct the right turn by applying the left brake; however, the attempt was unsuccessful, and the airplane subsequently exited the taxiway, entered a drainage ditch, and then came to rest upright; the left horizontal stabilizer was bent. Postaccident examination of the airplane revealed no mechanical malfunctions or failures with the landing gear brake and nosewheel steering system that would have precluded normal operation. The loss of directional control while taxiing for reasons that could not be determined because postaccident examination of the airplane revealed no mechanical malfunctions or failures that would have precluded normal operation. On March 13, 2017, about 1530 central daylight time, a Cessna 182 single-engine airplane, N6330B, impacted terrain following a loss of control while taxiing for departure from the Skiatook Municipal Airport (2F6), Skiatook, Oklahoma. The commercial pilot, who was the sole occupant, was not injured, and the airplane sustained substantial damage to the left horizontal stabilizer. The airplane was registered to and operated by a private individual as a 14 Code of Federal Regulations Part 91 personal flight. Visual meteorological conditions prevailed at the time of the accident, and a flight plan was not filed. The local flight was originating at the time of the accident. The pilot stated that while he was taxiing the airplane to runway 36 for departure, the airplane suddenly veered to the right. The pilot attempted to correct the right turn by applying the left brake, however, the attempt was unsuccessful and the airplane entered a drainage ditch. 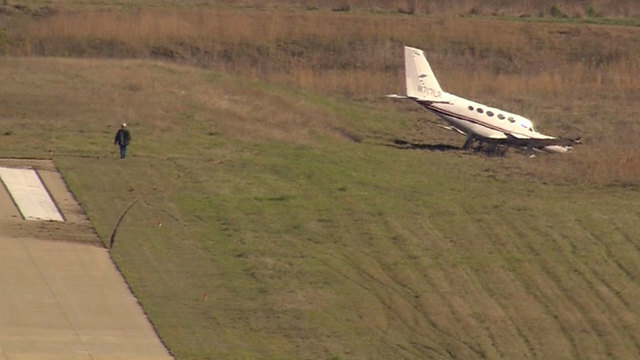 The airplane came to rest upright off the taxiway surface in the drainage ditch. On March 14, 2017, a Federal Aviation Administration inspector and mechanic examined the airplane at the owner's facility. Postaccident examination of the airplane revealed the left horizontal stabilizer was bent. The inspector and mechanic examined the landing gear brake and nose wheel steering systems. No mechanical or failures were noted within the landing gear system that would have precluded normal operation. The pilot stated that while he was taxiing the airplane for departure to runway 36, the airplane suddenly veered to the right. The pilot attempted to correct the right turn by applying the left brake, however, the attempt was unsuccessful and the airplane entered a drainage ditch. The airplane came to rest upright off the taxiway surface in the drainage ditch. Examination of the airplane by the pilot revealed the left horizontal stabilizer was bent. Flight AAL809, aircraft while at gate left wing struck service truck. No injuries. Aircraft on takeoff struck a coyote. Returned and landed without incident with damaged gear. BRYAN, TX (KXXV) - The Federal Aviation Administration said that a plane had a hard landing at Coulter Field in Bryan Monday night. They said the pilot hit a coyote while taking off. The impact damaged the nose gear and the landing gear. The FAA said that instead of stopping, the pilot took off and became airborne. He was ordered to circle the airport to burn off fuel before attempting to land. The plane landed safely after three hours. During landing, the plane was foamed to ensure there would be no fire. The pilot received a medical evaluation and is okay. 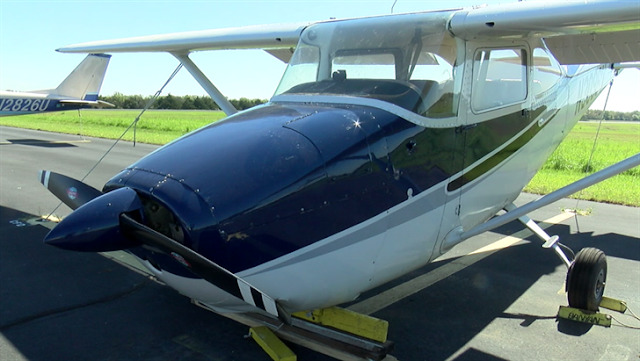 The plane is a privately owned 1963 Cessna 172E fixed wing single engine aircraft. The owner is from Irving, TX. Aircraft on a rejected takeoff, went off the end of the runway. 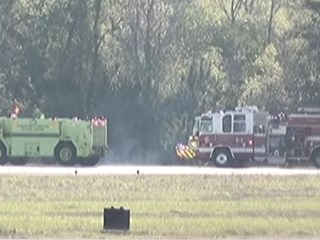 CONROE, Texas - A plane went off the runway Tuesday at the Conroe-North Houston Regional Airport, officials said. The incident was reported around 8:45 a.m. at the airport in the 10200 block of Carl Pickering Memorial Drive. It was not immediately known why the aircraft went off the runway. The Conroe-North Houston Regional Airport, formerly known as the Lone Star Executive Airport, holds more than 300 aircraft and has 240 hangars, its website says. The airport caters to corporate and business travelers coming into the area from outside the United States. 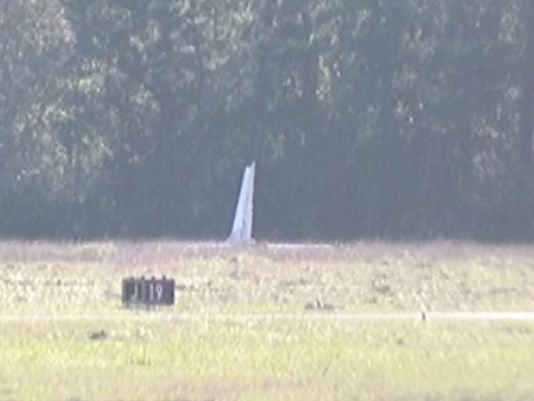 MONTGOMERY COUNTY, Texas -- A small plane went off the runway at a Conroe-area airport early Tuesday. The incident happened at about 8:30 a.m. at the Conroe North Houston Regional Airport. No injuries were reported. Investigators and a cleanup crew are responding to the scene where there is reportedly a fuel leak. The Cessna 421C is reportedly registered out of The Woodlands. Tehama County >> A bright yellow ultralight aircraft crash landed Sunday in the Bend area after a mechanical failure caused the aircraft to become unresponsive. The pilot, Andrew Jessen, 74, of Anderson was not injured as a result of the crash. Tehama County Sheriff’s Deputies were dispatched at 2:45 p.m. Sunday to a reported ultralight aircraft crash. The person who reported the incident said he saw the aircraft going down from his residence on Via Pasado in Red Bluff, according to a press release issued Monday by the Tehama County Sheriff’s Office. The caller was in his personal vehicle attempting to locate the crash after speaking with dispatchers. Deputies arrived on scene at 2:57 p.m., when they met with Jessen and the caller. Jessen said attempted to land the aircraft and was successful, but described the landing as “hard,” according to the release. The Federal Aviation Administration was notified and spoke with deputies who were on scene. FAA personnel advised that there would be no investigation due to the fact that the aircraft is not registered and there were no injuries. The amount of damage to the aircraft was not released as of noon Monday. An Anderson man was not injured after the ultralight plane he was piloting suffered a mechanical failure and had to make a hard landing Sunday afternoon northeast of Red Bluff, authorities said. The plane landed around 2:45 p.m. around Via Pasado Road in the Bend area. Andrew Jessen, 74, said the mechanical issues the plane suffered caused the aircraft to become unresponsive, the Tehama County Sheriff’s said. A resident in the area phoned emergency dispatchers around 2:45 p.m. to say he saw a bright yellow ultralight aircraft going down from his residence on Via Pasado. Federal Aviation Administration authorities said there will be no investigation. The flight instructor reported that he and two student pilots were on a night, visual flight rules, instructional flight. The instructor tried to activate the pilot-controlled lighting at the destination airport, but he believed that it was inoperative. He reported that he could see the windsock on the airfield but that he did not see the “X” near the runway numbers and performed a touch and go. During rotation the instructor reported that, “I heard a red cone make impact with the nose gear section.” He had to apply continuous forward pressure to the yoke because the nose continued to pitch up with the trim set to the full-down position. He asserted that the flight characteristics were “acceptable” and continued the flight about 47 nautical miles to their home airport. Upon arrival, the instructor alerted the tower that he had a stabilator malfunction and landed the airplane with zero flaps. The instructor reported that he did not check the notices to airmen (NOTAM). The airplane sustained substantial damage to the stabilator. According to Federal Aviation Administration NOTAM 03/058, the airport runways were closed at the time of the accident. The flight instructor’s failure to review the notices to airmen related to the airport, which resulted in his landing on a closed runway and the airplane striking runway closed markers. The flight instructor reported that he and two student pilots were on a night, visual flight rules, instructional flight. The instructor tried to activate the pilot controlled lighting at the destination airport, but he believed that it was inoperative. He reported that he could see the wind sock on the airfield but he did not see the "X" near the runway numbers and performed a touch and go. During rotation the instructor reported that, "I heard a red cone make impact with the nose gear section." He had to apply continuous forward pressure to the yoke because the nose continued to pitch up with the trim set to the full down position. He asserted that the flight characteristics were "acceptable" and continued the flight about 47 nautical miles to their home airport. Upon arrival, the instructor alerted tower that he had a stabilator malfunction and landed the airplane with zero flaps. The instructor reported that he did not check the Notices to Airman. The airplane sustained substantial damage to the stabilator. The student pilot reported that, during a stop-and-go landing in crosswind conditions, the gyroplane bounced about 4 ft. He added that the wind lifted the gyroplane and that he did not have “the speed or rudder control to counteract” the drift. The gyroplane impacted the ground on its right side. The gyroplane sustained substantial damage to the empennage. A review of recorded data from the automated weather observation station located on the airport revealed that, about 39 minutes before the accident, the wind was from 300° at 8 knots. The gyroplane landed on runway 30. The student pilot’s improper landing flare and subsequent failure to maintain crosswind correction during landing in crosswind conditions. An experimental autogyro rotorcraft ended up on its side after a hard landing about 3 p.m. Friday at the Santa Maria Public Airport. “A small gyrocopter pilot was doing some touch and goes. He was only going about 10 mph. I don’t know if it was wind, or what, but he tipped over,” said Chris Hastert, Santa Maria Public Airport executive director. “The monetary damage to the gyrocopter is probably pretty high, but the physical damage was fairly low," he added. Airport crews were able to lift the aircraft and tow it off the airfield. Airport officials will continue to investigate the incident. Aircraft on landing, nose gear collapsed. 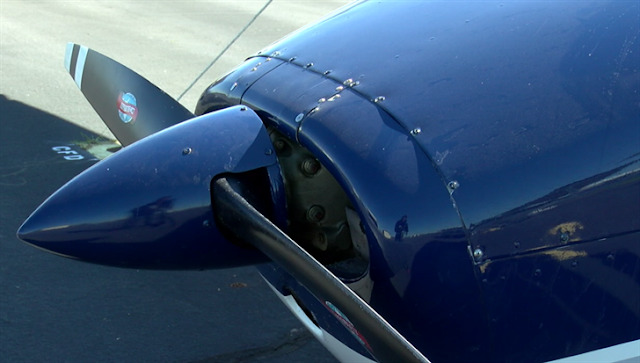 Aircraft landed gear up and struck the propeller. Rotorcraft on landing, skid collapsed. Flight JBU1020, aircraft encountered turbulence. One (1) person on board sustained serious injury. Flight ASA769, aircraft while at deicing pad, wing struck the deicing truck. Taxied back to gate. No injuries to persons on board. Unknown injury to one (1) person on ground. BOSTON (CBS) – A worker was hurt after he fell from a bucket truck that tipped over on the tarmac at Logan Airport Friday night. On a snowy evening at Terminal C, Massport says a de-icing truck and an Alaska Airlines plane came into contact. And what happened next had passengers calling for help. The truck tipped over. A worker went tumbling to the ground. And passengers say a little 10-year-old boy was the first to call for help. “There was an announcement and either the pilot or the stewardess got on and said ‘We want to thank this little 10-year-old boy,'” passenger David Fish said. Those aboard the Boston to San Diego flight were evacuated, then put on buses and are landlocked for now. But thankful the accident wasn’t worse. Aircraft on landing, went off the runway and struck a light. On March 11, 2017, about 1515 Pacific standard time, a Piper Aero Star 602P airplane, N301FW, landed with a retracted left main landing gear at the Reno/Tahoe International Airport (RNO), Reno, Nevada. The airline transport pilot was not injured; the airplane sustained substantial damage. The airplane was registered to and operated by the pilot under the provisions of Title 14 Code of Federal Regulations Part 91 for the personal cross-country flight. Visual meteorological conditions prevailed and an instrument flight rules flight plan was filed. The flight originated from Sandpoint Airport (SZT), Sandpoint, Idaho at 1100 and was destined for Minden-Tahoe Airport (MEV), Minden, Idaho. The pilot reported that after departure from SZT the airplane performed normally in takeoff, climb and cruise flight; the gear up light illuminated after the gear retraction. As the flight approached MEV, the pilot entered a left traffic pattern for runway 30. He performed the landing checklist but only the nose landing gear (NLG) and the right main landing gear (MLG) indicator lights illuminated; the left MLG indicator light was not illuminated. The pilot initiated a climb and performed the procedures on the emergency gear extension checklist, however the left MLG indicator light did not illuminate. He contacted Reno Approach, declared an emergency and received permission to circle East of RNO to burn off fuel which is a part of the emergency gear up landing checklist. When fuel in the left wing tank was exhausted, he requested and received clearance to land on RWY 25. The airplane touched down with the left MLG retracted and the right MLG and the NLG extended. Before it came to a full stop, the airplane impacted two taxiway signs. An airport operations supervisor, who communicated with the pilot over the radio as he attempted to land at MEV, reported that as the airplane flew over the runway, he observed only the NLG and the right MLG extended. The pilot announced that he would attempt to land on runway 30. The pilot executed two passes over the runway; both times it appeared to the supervisor that the left MLG was about 30o down from horizontal, and it appeared that the tire was sitting against the inside gear door. The pilot reported to a Federal Aviation Administration (FAA) inspector who responded to the accident site, that the accident flight was the first flight after a recent owner assisted annual inspection. During the annual inspection a small amount of hydraulic fluid was found on the control valve located in the upper, forward part of the left landing wheel well. The valve was subsequently resealed with new "O" rings. The pilot stated he did not know if the landing gear was cycled subsequent to the valve maintenance. However, a review of maintenance records revealed that the last annual inspection, which was performed on March 6, 2017, included the landing gear swing. The wreckage was recovered to a secure location for further examination. On March 27, 2017, the FAA inspector travelled to the wreckage location to assist in an examination and swing of the landing gear. The FAA inspector examined the airplane and noticed that the right MLG side brace was broken which would impede gear retraction. He decided to perform a partial swing of the landing gear to determine if the hydraulic system was operational. The gear pump circuit breaker was opened, and the gear handle was placed in the up position. The pump isolation switch was placed in the off position and the master switch was energized. The gear pump circuit breaker was reset, and the isolation switch was energized momentarily. The gear started to retract; however, immediately thereafter, the left side push-pull rod assembly that connects the gear door actuator to the landing gear and door control valve, failed due to what appeared to be previous damage. The push-pull rod failed in a compression load, crimped and eventually broke in half. The FAA inspector found later that a mechanic had pictures of the left side rod that were taken prior to failure. The pictures showed postaccident damage of the push-pull rod. The left main landing gear push-pull rod and the control valve were subsequently removed for additional examination. On June 21, 2017, the sequence valve was examined at Aerostar Aircraft Corporation, Hayden, Idaho. The valve was inspected, reassembled and tested in accordance with Aerostar Acceptance and/or Function Test Procedure. No malfunctions were noted with the valve. The push-pull rod was examined on July 13, 2017 at the National Transportation Safety Board material lab, Washington, D.C. The examined fracture surfaces were consistent with overload. Complete exam reports are appended to this accident in the public docket. On March 11, 2017, about 1515 Pacific standard time, a Piper Aero Star, N301FW, landed with a retracted left main landing gear at Reno/Tahoe International Airport (RNO), Reno, Nevada. The pilot, the sole occupant, was not injured; the airplane sustained substantial damage. The airplane was registered to and operated by the pilot under the provisions of Title 14 Code of Federal Regulations Part 91. Visual meteorological conditions prevailed for the cross-country flight, which operated on an instrument rules flight plan. The flight originated from Sandpoint Airport (SZT), Sandpoint, Idaho at 1100 with an intended destination of Minden-Tahoe Airport (MEV), Minden, Nevada. The pilot reported that, during landing checks at MEV, the left main landing gear did not extend. However, the nose and the right main landing gear extended. The pilot elected to divert to RNO to land. Upon touchdown, the left main landing gear was still retracted. The airplane slid down the runway which resulted in a substantial damage to the left wing.